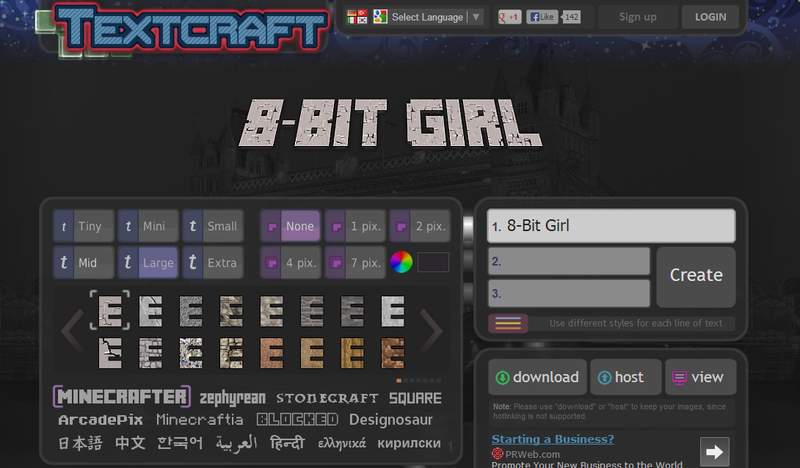 8-Bit Girl: Create Minecraft-Style Text with Textcraft! Create Minecraft-Style Text with Textcraft! Minecraft fans wishing to expand their obsession with the game to their fonts whilst writing can now do so! Textcraft features a variety of Minecraft themed fonts and text packs which will definitely make your text stand out. Textures include lava, grass, water and text reflecting the official Minecraft logo amongst others.